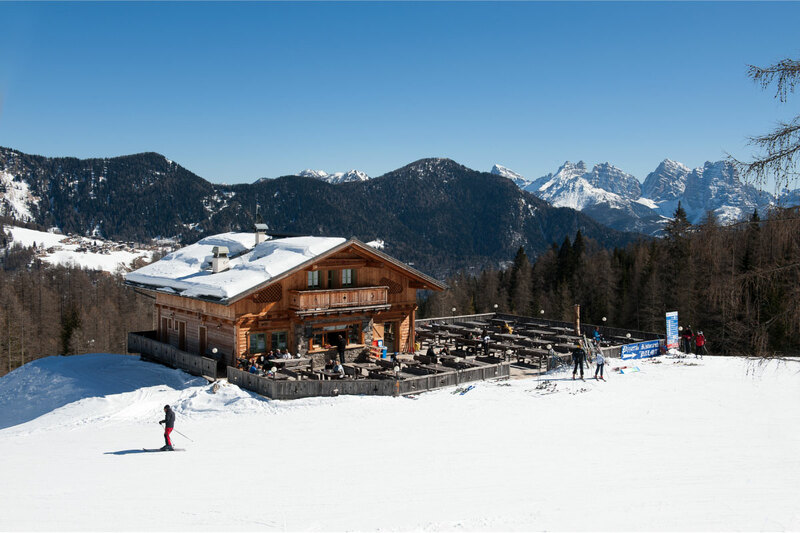 In the heart of the Dolomites, between Pelmo and Civetta, at an altitude of 1765 metres, caressed by the clear mountain air, behind the ski slopes of Val Zoldana is the Ristoro Bepi. The magical atmosphere that you can feel, surrounded by breathtaking landscapes, conveys a sense of serenity that only here can be found and appreciated. The pleasant climate, the tranquillity, the genuine fun you can experience here at these latitudes make this restaurant the reference point for those who want to escape from the daily routine. Bepi and Alberto are the true cornerstones of this magical place who have accomplished these results. This place is known for its excellent sandwiches and cuisine, and thanks to its explosive and charming character, it has given life to a friendly and cheerful atmosphere. From experienced skiers, snowboarders, beginners to ski enthusiasts, from those who have never touched a pair of skis to those who just want to have fun and relax, the Bepi Ristoro awaits them. Restaurant Pian del Crep (at 1765 metres): at the ski lift arrival point, open both in summer and winter, bar, snack-bar, self-service and restaurant, solarium and playground. 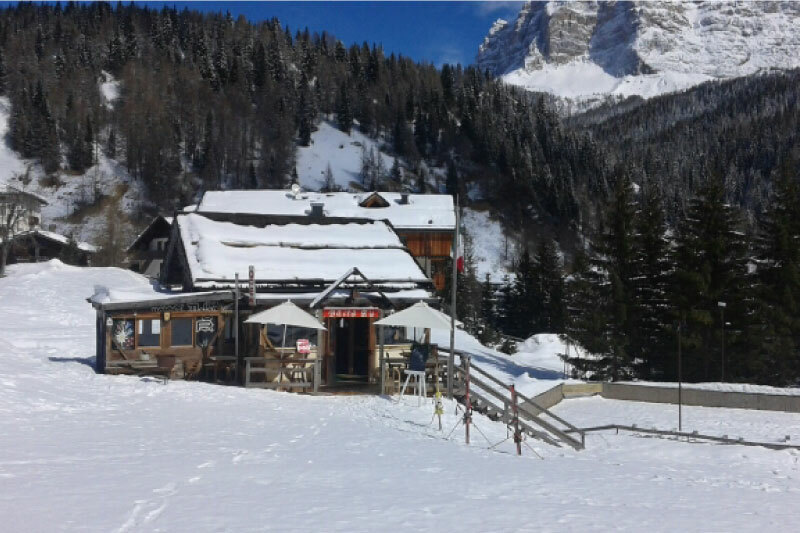 The Su’n Paradis Hut is located in Val di Zoldo on the ski slopes right at the foot of Mount Civetta, more precisely at the Grava and Grava 2 slopes, two of the most beautiful hills in the area. In summer, many scenic walks for all ages pass in front of the hut, and thanks to the gondola lift that takes you at high altitudes, you can enjoy these walks. Not far away does the Alta Via No. 1 cross and there begin the roads leading to the top of Mount Civetta. 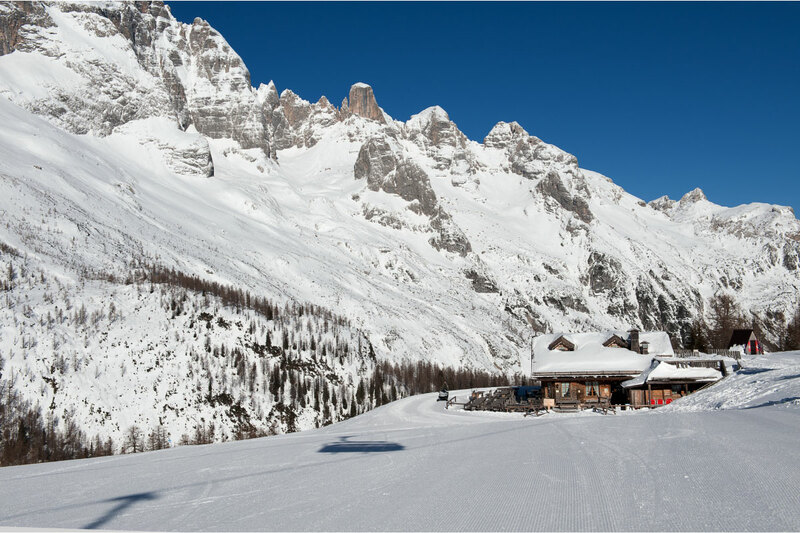 The Su’n Paradis Hut offers an excellent typical cuisine with all the traditional dishes of the Dolomites as well as delicious sandwiches and snacks, sweets and typical grappa drinks. The refuge, open both in summer and winter, is at your disposal also for dinners in lavish atmosphere and events on request. Su’n Paradis Hut, located on the Grava slope, is open both in winter and summer. You can find the traditional cuisine of the Dolomites here, as well as sandwiches and excellent grappa! The refuge is on the Cristelin slope. Its cuisine pays attention to details, offers quality and typical authentic flavours of the area. It also provides the opportunity to enjoy fabulous sweet courses and homemade glass desserts. Outside the refuge, the fabulous counter of sandwiches will whet your appetite with the scent of the characteristic Zoldano Pastin combined with ingredients chosen by the Customer; there is also no shortage of the many varieties of grappa flavoured with both fruit and herbs. 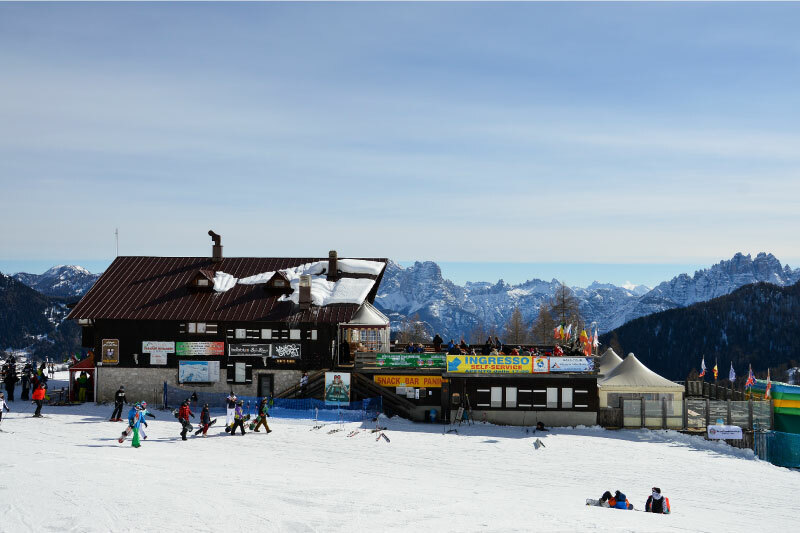 It is open both in the winter and the summer and has a large sun terrace from where, while being caressed by the sun, you can admire the most beautiful Dolomite peaks of the Zoldo ring: Pelmo, Civetta, San Sebastiano, Moiazza, Spiz de Mezzodì e Monte Crot. 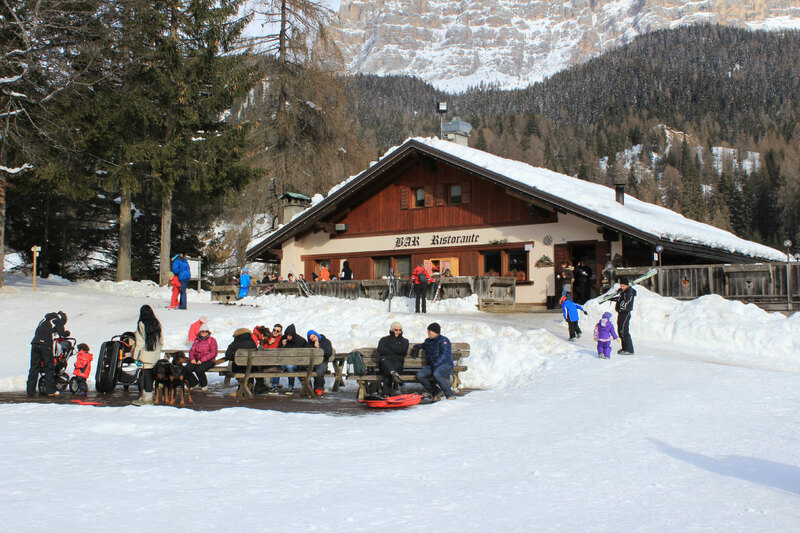 It is an ideal place to stop for a break while descending from the mountain and enjoy the beautiful snow covered slopes. 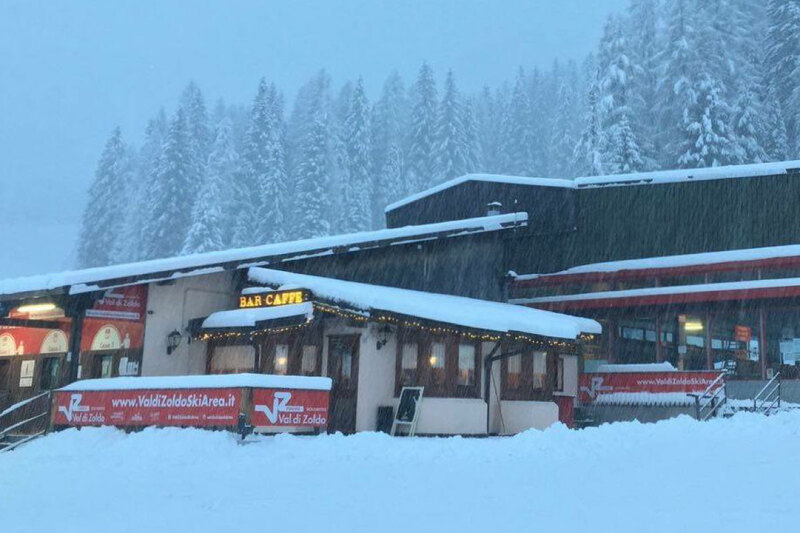 The bar serves everything: breakfast with pastries and coffee, lunch and dinner with snacks, hot meals, cakes and in the afternoon after skiing, fruit grappa shots, mulled wine, the famous bombardino, the unmissable hot chocolates, shots, hot tea and of course beer and soft drinks. 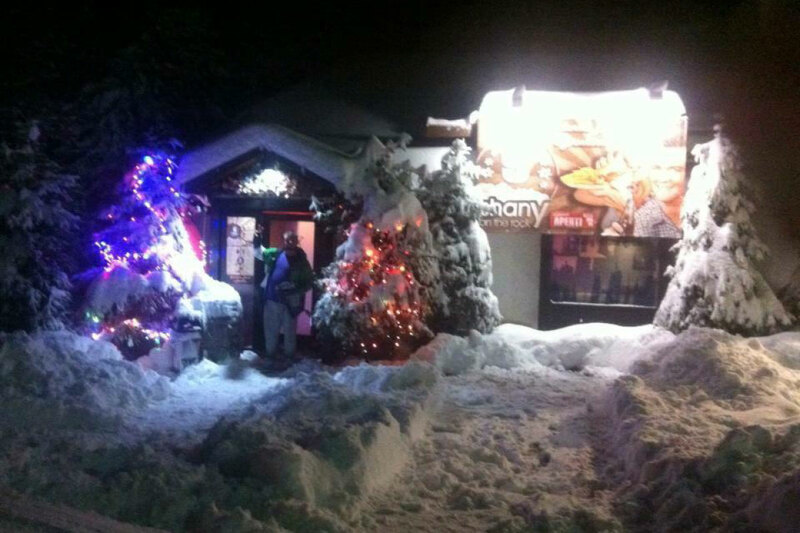 We are also open during night skiing. The Refugium Pekatorum is located along the Civetta ski slopes on the Zoldano side in an area called Valgranda. The refuge is only open during the winter season and despite its modest size, it is characterised by a large sun terrace. The shelter is well known for its sandwiches, and also offers excellent hot dishes for all tastes. 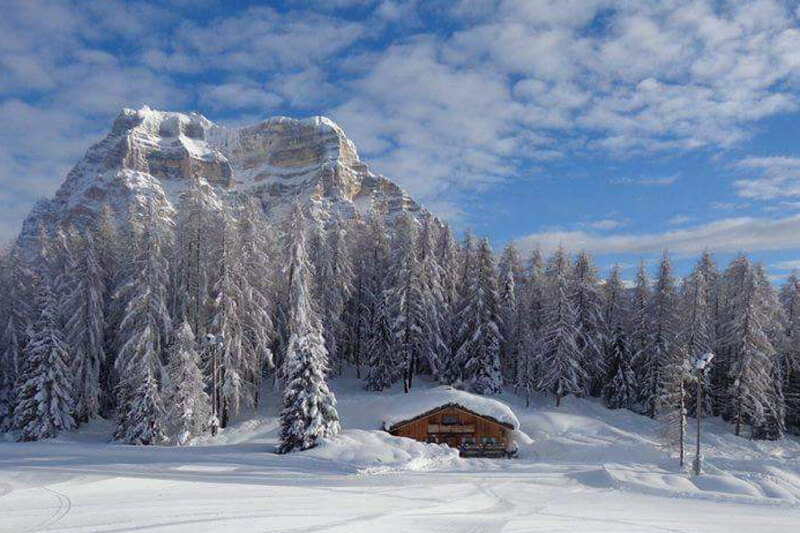 The Refugium Pekatorum is located along the ski slopes of Val di Zoldo Ski Area, in the Valgranda area. Small refuge … but with a huge terrace for all winter sun lovers! Because of its position, Palma is an excellent refreshment and starting point not only for hikers and skiers, but also for tourists travelling on the highway, and for bicycle and motorcycle enthusiasts. It has a large terrace and an ample parking space that can also be used by organised travel groups. For lunch, we are open seven days a week and in the evening every weekend. Then in season, we are closed only on Monday evening. In addition to the classic pizzas, we offer local specialities prepared by us, with valuable ingredients. For gluttons, there is a wide choice of traditional and typical desserts. Next to the restaurant, there is a small track for children and a playground for both winter and summer. On the lawn in front of it, there is also a summer house with horses where it will be possible to practice this sport and go on beautiful horse-riding excursions organised in the surrounding area. Because of its position, the restaurant is an excellent refreshment and starting point not only for hikers and skiers, but also for tourists travelling on the highway, and for bicycle and motorcycle enthusiasts. The only Discotheque of the Val di Zoldo opens every day from 18.00 to 02.00. Theme Parties, Friday Italian Music and all Thursday Karaoke. Skiing during the day and DANCING at night! Cocktails, muddled cocktails and our entertainment staff will make your night unforgettable. The hut where you can eat after good skiing or snowshoeing in a familiar environment. Terrace bar where you can have a sandwich with a beer or warm up with a bombardino. The friendly dining room where you can taste typical and non-typical dishes, taste some speck and cheese or our fantastic homemade desserts. 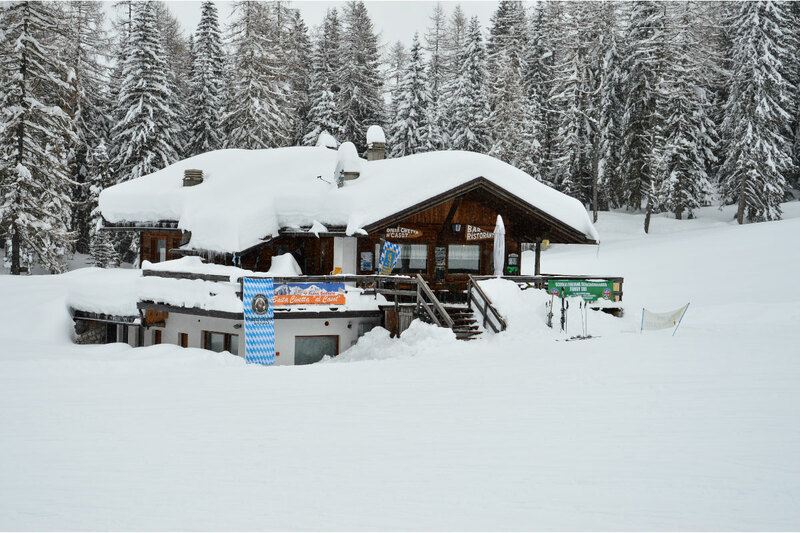 The hut is located at the departure point of the “Grava” 4-passenger chairlift and “Casot” ski lift, and you can also reach it by climbing from Pecol or descending from Pian del Crep with snowshoes. The hut where you can eat after good skiing or snowshoeing in a familiar environment. Located at the departure point of the Grava chairlift. It is a typical Zoldano Baita, easily reachable on foot from the parking place of the Pecol Gondola Lifts. You can find there friendliness and hospitality, also you can easily find it arriving from the ski slopes at the arrival point of the Pecol Gondola Lifts. Baita Ru serves typical mountain dishes and tasty appetizers that will rediscover pleasant combinations of flavours. Here you can have an aperitif, a spritz or a good glass of wine with our delicious cicchetti (snacks) every day. You can find there an ice rink also for ICE SKATTING.